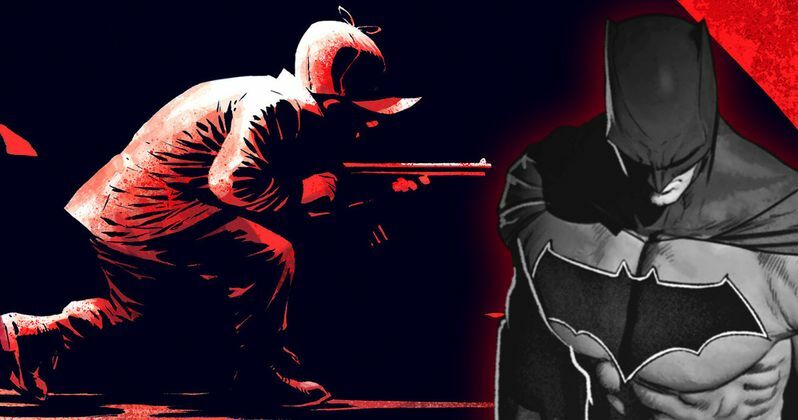 DC is putting Elmer Fudd and Batman together for their DC/Looney Tunes mash-up special. Batman has hung out with the Teenage Mutant Ninja Turtles before, so why not Elmer Fudd? DC has also announced three more crossovers including Jonah Hex and Yosemite Sam, Wonder Woman and the Tasmanian Devil, as well as Lobo and Road Runner. DC did not provide any other details on the rest of the mash-ups and it is also unclear if these mash-ups will be a one-off series like the DC/Hanna Barbara crossovers. The Batman/Elmer Fudd Special #1 will hit the shelves on June 28th, 2017. DC's website describes the unlikely pairing like this. "After a chance meeting with billionaire Bruce Wayne, Elmer Fudd's obsession quickly escalates into stalking Batman through dark alleys and high-class social settings of Gotham City. Welcome to Bat Season!" I guess Fudd does have an obsessive personality, but how does he end up in Gotham City? Where's the rabbit? DC and Looney Tunes are having fun with two characters that would normally never come into contact with each other, contrasting between the light and the dark. The Batman/Elmer Fudd Special #1 is done in a noir-style look with a story written by Tom King and beautiful artwork by Lee Weeks. In a time of serious superheroes it's kind of nice to see DC have a little fun with Batman. I would really like to know how they settled on Elmer Fudd though. Does Fudd have some kind of dark, gritty history or are we really getting the slightly dimwitted Fudd character that everybody knows and loves? The comic also comes at another lighthearted time for Batman as DC prepares to release another odd pairing of Harley Quinn and Batman in DC's straight to video Batman and Harley Quinn movie. The movie looks like a humorous buddy cop movie from the 80s, which is definitely a stark contrast to the last animated story for Batman in The Killing Joke. Elsewhere, the rest of the series look like it will be a fun little respite from reality. I really want to know how they decided on these pairings. Wonder Woman and the Tasmanian Devil should be pretty weird and if DC's looking for more crossover ideas, I have a few that I'll offer up free of charge. My Little Pony and Deadpool, where we find out that Deadpool is secretly a bronie. This one has already been touched upon, so probably not. Plus Deadpool belongs to Marvel, so yeah scratch that. The Punisher and Chewbacca could be pretty good too except Chewie resides in Disney and Marvel, so that won't happen either. I guess I don't have any good ideas. As previously mentioned, you can pickup, or download The Batman/Elmer Fudd Special #1 on June 28th, 2017. It is unknown when the rest of the DC Looney Tunes mash-ups will be available, but it seems safe to say that they will trickle out this summer. You can check out some of Weeks' artwork below.